A trip to Spain can be good for your health. A phone call from Spain can be bad for your wealth. 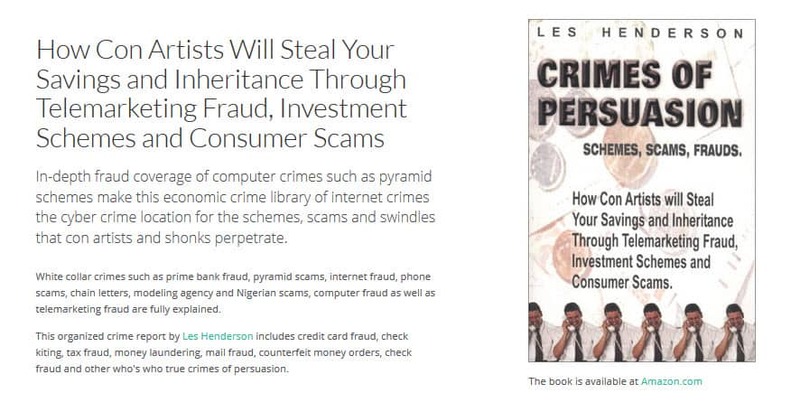 Barcelona and Marbella are currently the hot spots for shares swindle fraudsters who prey on unwary investors, according to Tony Hetherington, a financial journalist who has heard more sob stories than an agony aunt. But it is broken wallets, not broken hearts, that are responsible for filling up his postbag at The Mail on Sunday. Hetherington told Shares magazine that investors looking for a nice little earner are also lured by shares pusher calls from Prague, Budapest, Switzerland, North America, and occasionally from Portugal. These people can get around but, after all, they travel on other people’s money. He says of the former iron curtain countries: ‘It’s the Wild East since the fall of communism. Regulating foreigners who prey on other foreigners with a shares scam is not top of their list of priorities. The Financial Services Authority (FSA) this month published a list of more than 40 unauthorised share dealers who do not let the legal niceties get in the way of a phone call. The main scam is to offer penny shares that supposedly will soar in value. Few, if any, are listed on a stock market anywhere in the world. Since they cannot be sold, they are effectively worthless. The FSA says there is a new shares scam where investors are approached with an offer to sell the shares in return for an upfront administration fee. Once this is handed over the investors hear no more, so they have now paid out twice and still hold worthless shares. In one case, an investor bought shares for a total $37,500 from an unauthorised firm describing itself as a broker in Switzerland. About 18 months later, he was approached by a firm with a different name, describing itself as an American settlement company, which offered to sell his shareholding for almost five times the original purchase price. The investor was required to pay $8,850, supposedly to cover tax, to complete the deal. After paying up, he received another call asking for a further $57,000. The investor declined but has still parted with the equivalent of £30,000. On 9 November 2010 the District Court of Amsterdam has appointed Mr. E.W. Baart of Van Diepen Van der Kroef Advocaten as receiver in the bankruptcy of Innovative Financial Strategies Group SA (IFSG). IFSG was doing business under the name Witter Walwyn Overseas Ltd. The Public Prosecutor’s Office petitioned for the bankruptcy in its investigation into a large-scale investment fraud. According to the Public Prosecutor’s Office 1,150 investors worldwide are affected adversely. The activities were conducted in “boiler rooms” at various locations in Amsterdam. The Public Prosecutor’s Office estimates the damages incurred by the investors at approximately EUR 38,000,000.00. The court appointed receiver shall identify and list the investors and look into available means of recovery. On the basis of the application for bankruptcy filed by the Public Prosecution Service, Nicolas Bingham, born in Newmarket (UK) on 2 November 1976, and Stephen Winick, born on 28 May 1957 in Hamilton, Canada, can be deemed to be the de facto managers of the undertaking. IFSG is a foreign company, registered c/o Blenheim Trust (BVI) Limited, P.O. Box 3483, Road Town, Tortola, British Virgin Islands. IFSG also traded under the name "Witter Walwyn Overseas Ltd."
The application for bankruptcy was filed by the Dutch Public Prosecution Service on the grounds of General Interest, as provided for in Article 1 (2) of the Dutch Bankruptcy Act. IFSG and its de facto managers are suspecting of having perpetrated fraud involving tens of million of euros. Investors invested USD 38,000,000. According to the Public Prosecution Service, most of this was siphoned off to accounts held in the name of IFSG and its managers. The Public Prosecution Service asserts that IFSG and its de facto managers perpetrated what is known as "boiler room fraud": by cold calling from various locations in Amsterdam, investors throughout the world were persuaded to invest in American enterprises through the intermediary of IFSG. IFSG does not have the necessary licence, and approximately 1,150 investors were defrauded worldwide. Despite defrauded investors’ regular requests to IFSG for repayment of their cash investments, IFSG failed to respond and after a time could not be contacted at all. Boiler rooms are illegal securities institutions which use cold calling methods to try and sell securities, and on occasion other financial products. The investor gains the impression that the company is successful and reputable. In most cases, the money is not invested but siphoned off immediately to a foreign bank account. This sort of operation is also known as "high yield" fraud.